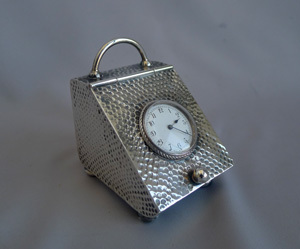 Victorian silver novelty clock in the form of a coal scuttle by Douglas Clock Co.
Large Antique English late 19th century ormolu strut clock in manner of Cole. 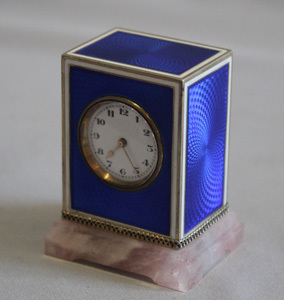 Antique French silver gilt and grey/blue guilloche enamel box with 8 day clock to lid. 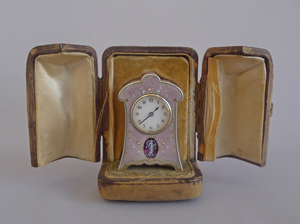 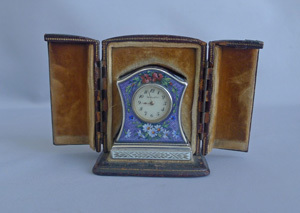 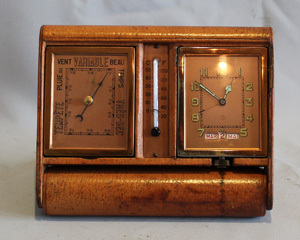 Antique weather station desk clock in an ormolu diamond shaped case. 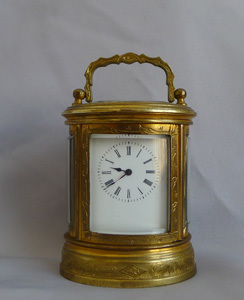 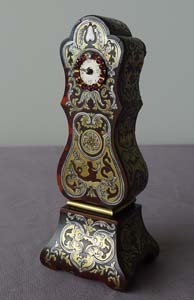 Mid 19th century gilt bronze strut clock in the style of Cole. 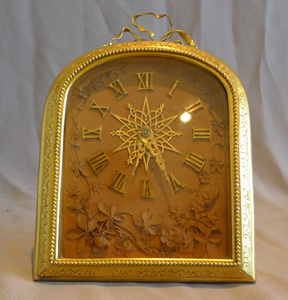 Antique miniature French oval, engraved carriage clock. 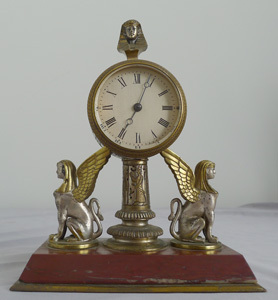 Fine and unusual desk timepiece of Retour d'Egypt or Egyptian Revival in gilt and silvered bronze. 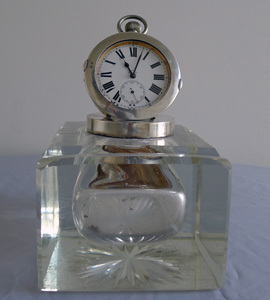 Antique English Edwardian silver and cut glass watch inkwell by Mappin and Webb, London. 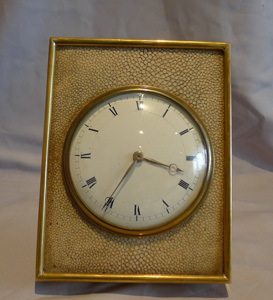 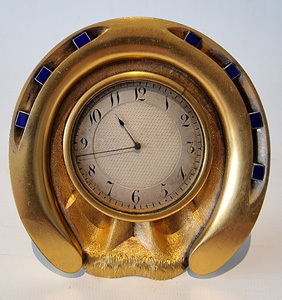 A fine antique English Edwardian shagreen and gilt bronze strut clock. 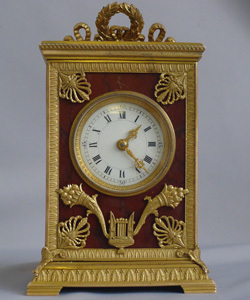 Antique miniature scarlet tortoiseshell, pewter and brass boulle longcase clock with jewelled dial. 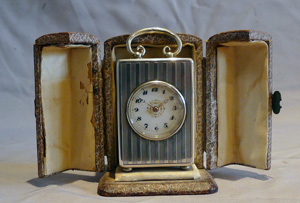 Antique, cased solid silver engine turned sub-miniature carriage clock. 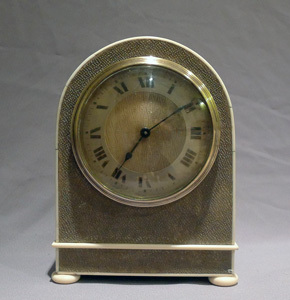 Antique English Edwardian Shagreen and ivory mounted mantel clock. 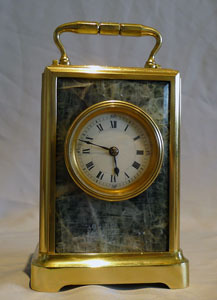 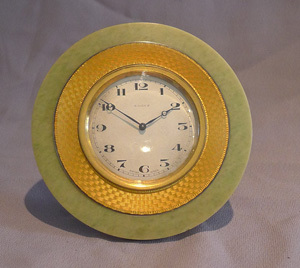 Silver, Imperial yellow Guilloche enamel, green marble and brass strut clock. 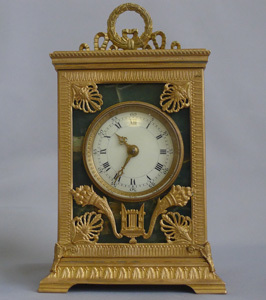 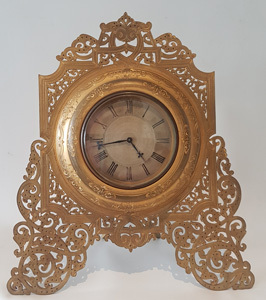 English ormolu mantel clock in manner of Cole by Barry of London with signed carved limewood dial. 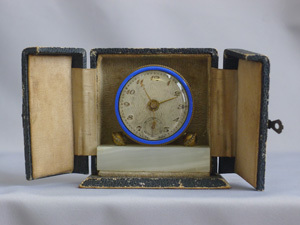 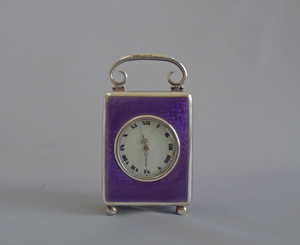 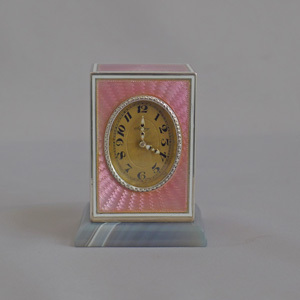 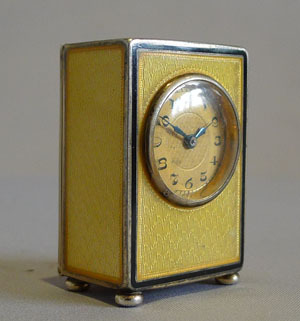 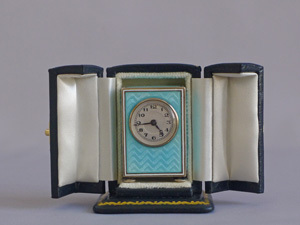 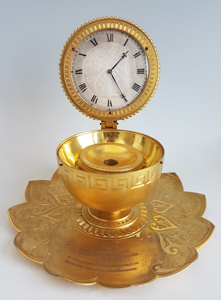 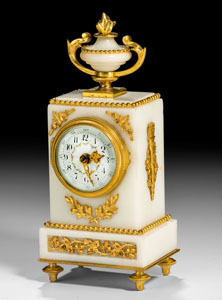 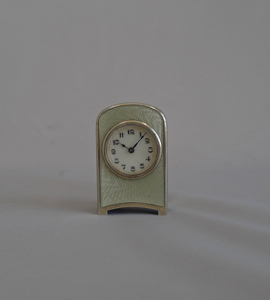 Sub miniature carriage clock in lemon yellow guilloche enamel and silver gilt. 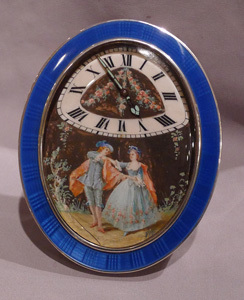 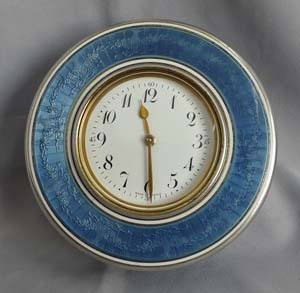 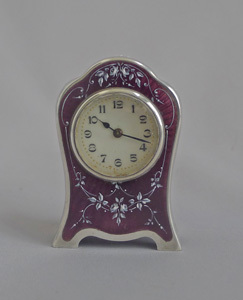 French silver and guilloche enamel timepiece with hand painting on ivory. 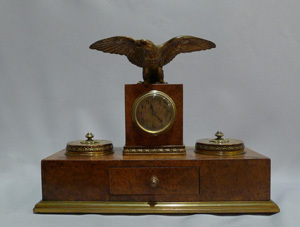 Antique burr walnut and ormolu desk set signed Appay a Paris. 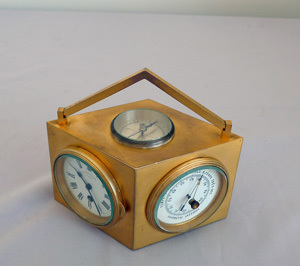 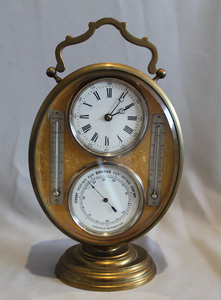 Antique French gilt bronze oval combination desk timepiece with aneroid barometer and thermometers. 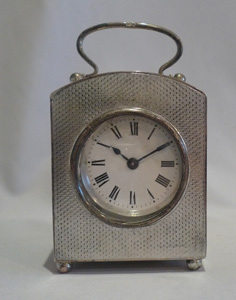 Antique Edwardian silver engine turned case carriage timepiece. 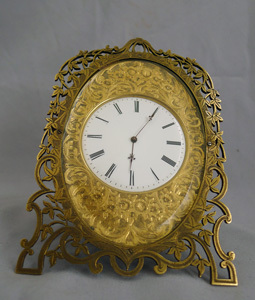 Antique Howell James English ormolu and enamel horseshoe strut clock. 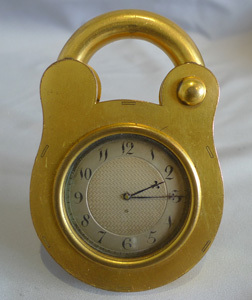 Antique padlock clock by Howell James, boxed.